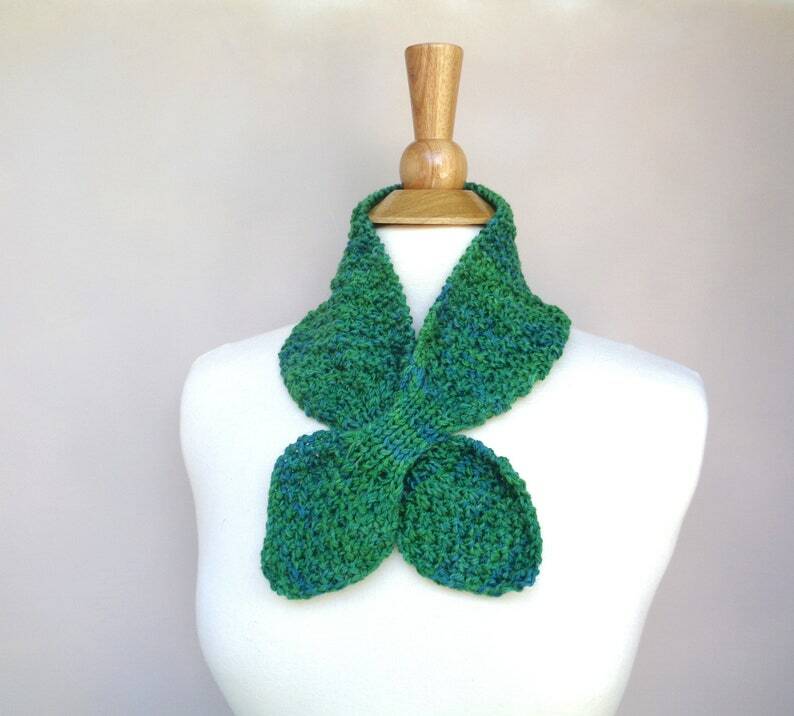 Ascot bow scarf, in an invigorating meadow green, hand knit in a soft merino wool yarn. The small size makes a great neck warmer or accessory for light warmth, the pull through style keeps it in place without worries on shifting or falling off. Care: Hand wash, reshape and lay flat to dry.